Are you in search of the true love? Do you think about some unknown person who seems extraordinary? Have you learnt lots of lessons from your previous relationships? Do you feel happiness in the air? 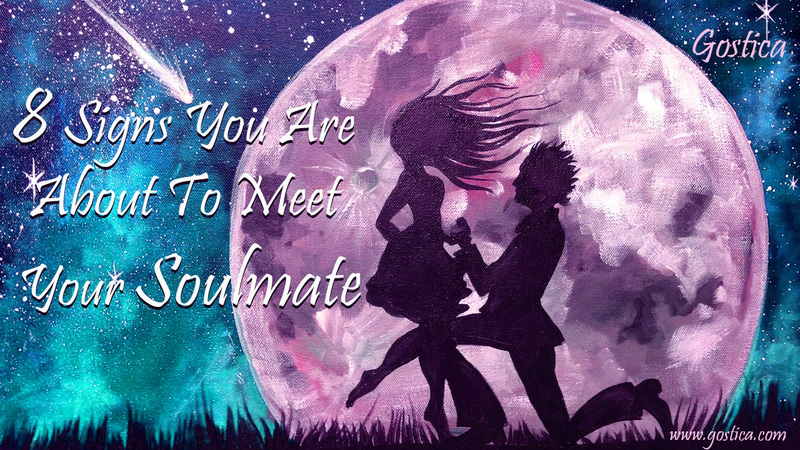 These are some of the signs your soulmate is near. Before you find your soulmate, your mind senses their energy nearby and gives you signals. It is up to you to decipher the message and get ready for the love of your life. Before you meet your soulmate, you will see romantic dreams most often. Some people claim to recognize their soulmate from the dream when they first met. There’s a chance that you don’t remember your dream, but you just feel happy because you had a good dream. Contentment conquers you for the whole day. Seeing your ex again and again in the dream is also the sign that you need a romantic relationship. The romance feels attractive, and only its idea increases the sense of personal development. From self-esteem to overall looks, everything suddenly seems essential. You just want to attract someone, and you start to work on that. You initiate using your energy in positive things. Not only you but your ‘to be lover’ has also begun to do the same. When your soulmate is around the corner, you just somehow realize the real purpose of your life. All the hollowness due to having no purpose in life fades away in no time. You start to feel a bit of satisfaction because you know why you are here. No matter where you go, you see romantic couples more than before. You may also notice more love discussion on the television. Your social media news feed may also fill with the notifications of love birds. Even whenever you turn the radio on, the love songs are there. You have a clear blueprint of your future relationship. You know what you want, and you initiate your search. You have a vivid imagination of your soulmate. Your interaction with people increases. You get more invitations from family and friends. You meet more people than before. There’s a very little chance that your soulmate will knock on your door and says, “I am looking for true love”. You need to socialize and leave your comfort zone to meet the love of your life. When you feel ready for a new and long lasting relationship, that’s one of the best signs your soulmate is near. It seems like your body and mind are prepared to love someone for the rest of the life. Your energy levels are high enough that you can’t ignore them. You mysteriously feel the positive boost that nurtures your idea of finding the true love. You feel alright to be single for a while. You have learnt so many things from the past relationships, and you know you won’t repeat the same mistakes. You have learnt a lot, and you are ready to experiment what you know – but with the right person. I think my husband was my soul mate. We divorced but as a matter of face I still love him, doesnt it prove that he was my soul mate?. I had a bad divorce how can I heal. Those memories I made with my husband still haunts me. I love him and thats is the problem. I still love his so much that I can never ever forget him in my life. Does ur husband luv u too ? U need to know that first …..if yes then talk to ur husband about ur feelings but if not then I will suggest u to move on in life . Sometimes people take advantage of our innocence n hurt us .Now , U need to stand up for urself n do what ur heart approves right .